Explore more than 70 new geocaches from Oregon’s Coast to the waterfalls and lava fields of the Cascades on the Eugene Cascades & Coast GeoTour. 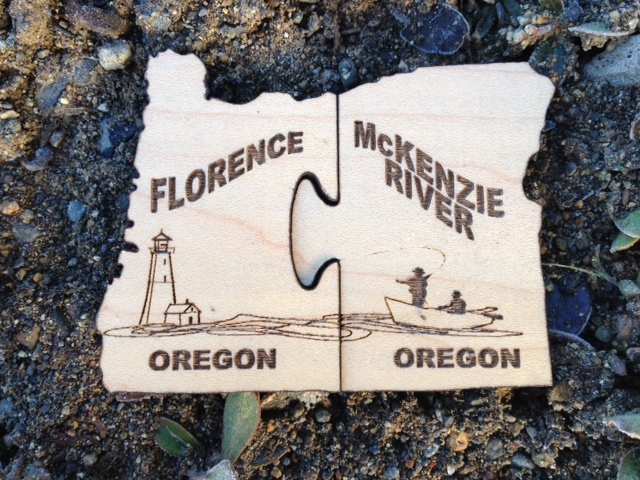 Geocachers that complete the entire trip will earn two unique, locally made Geocoins that fit together like puzzle pieces. Launched in October 2012, the McKenzie River Edition of the GeoTour winds along the lush wilderness of the McKenzie River. From old growth forests to secret gardens, this is a geocaching experience you don’t want to miss. Just ask the geocachers. The Florence Edition of the GeoTour launches March 9, 2013 at Driftwood Shores. This exciting new addition to the Eugene, Cascades & Coast GeoTour starts on the never ending beaches of the Central Oregon Coast, then takes geocachers to little-known hiking trails and favorite Old Town Florence gems. The more than 30 geocaches are worth every stop. Book your Eugene, Cascades & Coast GeoTour Adventure today to take advantage of sweet geocaching deals and discounts fromEugene, Cascades & Coast.